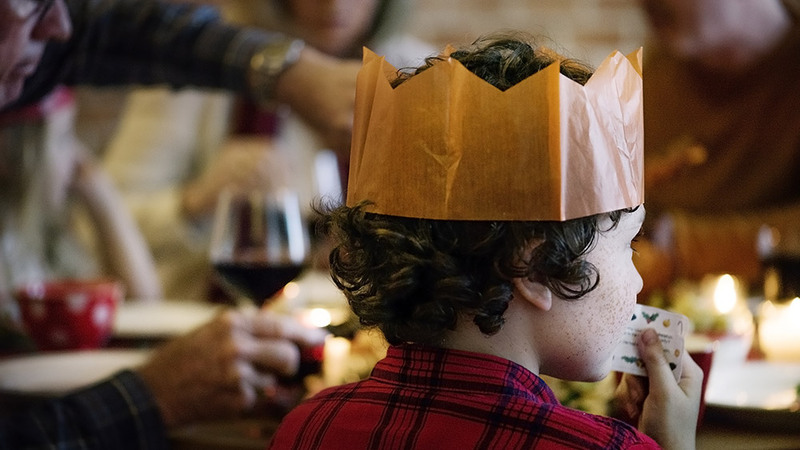 Christmas is a time for fun and frivolity, and there’s no better stage for your festive family games than the dining room table. You don’t need to pack a stack of board games to enjoy some memorable after-dinner giggles during your Christmas cottage holiday, in fact, the best party games only require the word of mouth, some scraps of paper, a handful of pencils, and a good imagination! Here are seven rip-roaringly funny dinner party games to help keep you and your guests entertained during your festive bashes and New Year’s Eve parties in your holiday cottage. When it comes to after dinner games, Charades is the cat’s pyjamas. Traditional themes for the game include film, book or song titles, although you can also widen your scope with other popular categories, such as, well-known sayings and famous people. Choose a player to open the game. That player (who must now stay silent) thinks of a film, book or song title and gesticulates the format to the other players/audience by either; pretending to crank an antique film camera, opening up an imaginary book, or mouthing into an invisible microphone. Once the genre has been correctly interpreted by the audience, the player can demonstrate (using fingers and thumbs) the number of words and syllables in the title, while also relaying other clues such as ‘sounds like’. With the help of these techniques, the player uses all their imagination, pantomime and wit to help the audience to guess and decipher their chosen title without ever uttering a single word. This wonderfully simple guessing game will be a guaranteed hit with your party guests. All you need is some sticky note paper and a collection of inquisitive brains. Each player writes down the name of a well-known person (alive or deceased) on their own piece of paper – keeping it secret and concealed. Take it in turns to stick your paper name onto the forehead of the person sitting to your right, making sure they don’t catch a sneaky glimpse of what’s been written down. Now you’re ready to play! Take it in turns to guess the famous name stuck to your forehead by asking a series of probing questions that can only be answered with either a ‘yes’ or a ‘no’. If you’re musically-minded, you’ll love this quirky, little melodious masquerade. Using dessert spoons, finger-tapping, bottle top-blowing and all manner of impromptu percussion instruments, you’ll make endless fun imitating anything from the theme tunes of soap operas to stirring operatic renditions. Either arrive at a well-known song/tune in your own mind or write suggestions down for each other on folded bits of paper. The aim of the game is to attempt to skilfully play ‘that tune’ using whatever you can find on the dinner table; it could be the highly underrated knife and fork B-side of Rick Astley’s 80s smash hit ‘Never Genna Give You Up’ or Luciano Pavarotti’s lesser-known wine-gargled version of ‘Nessun Dorma’. No singing or humming allowed. ‘Never Have I Ever’ is best known as a game for quaffers and tipplers because it traditionally involves a merry old drinking forfeit; the essential ingredient of any good guzzling game. However, feel free to play more ‘age-appropriately’ with chocolates, left over Brussels sprouts, whipped cream…whatever promotes the belly-laughs! *Warning* This particular after-dinner game has a tendency to escalate into a rather embarrassing (but hilarious) confessional. This type of game is definitely one for all those with a wicked sense of humour, designed to conjure up all manner of devious dilemmas and comical quandaries. To start the game, the opening player should verbally present their dilemma to the rest of the group, for example, ‘Would You Rather… have fingers for toes, or toes for fingers?’. If you’d like to make this game competitive, get everyone to write down their answers on a piece of paper before revealing their decision to the rest of the group. The answer that receives the most votes, wins, and a point is awarded to all those who chose it. If your dinner party guests are all couples or old friends, a game of Couple’s Roulette could prove a welcome and light-hearted distraction away from any serious or soporific after-dinner topics. You’ll need an imaginative spark to play the role of Question Master and devise ten or so intimate questions for each half of the couple to answer. To gain a point, both partners in the couple must answer the question correctly based on their intimate knowledge of each other and then backed up by the answers they’ve both written down, for example, a question might be: If your other half had to get up and sing karaoke, what song would they sing? Or, What’s your other half’s most annoying habit? The couple with the most points after the final round of questions, wins. *Warning* Can lead to hissy fits, tantrums, and extremely apologetic partners or spouses. Whether you’re on the search for a stylish venue to play host to a gathering of old friends, or a spacious setting for a grand family reunion, look no further than Toad Hall Cottages.